The Yamaha XJ600 flies under the radar in the motorcycling world. 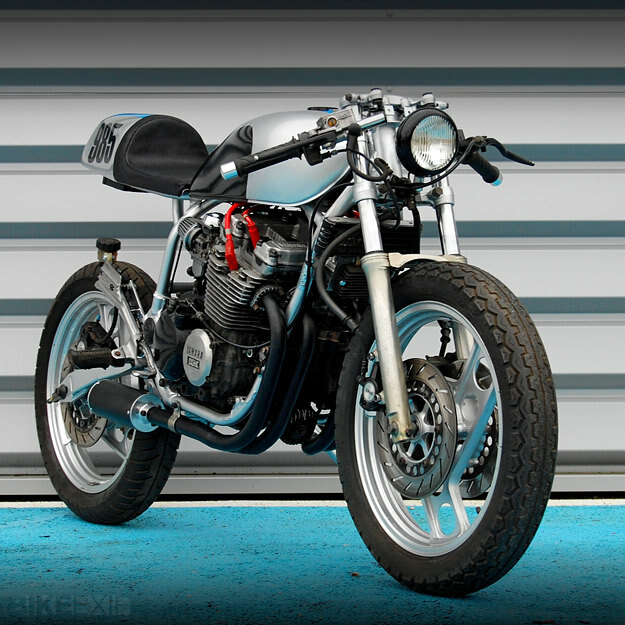 Released in 1984, it’s often dismissed as yet another Universal Japanese Motorcycle. But this machine was the first 600cc inline four—making it the granddaddy of today’s 600 super-sports. And it had mono shock rear suspension, which was advanced technology 28 years ago. 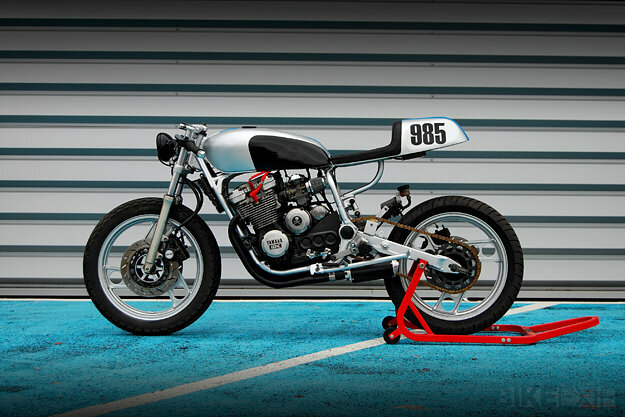 Today, you don’t see many custom XJ600s. Probably because most of them have rusted away. But the small custom workshop Pimmel & Messer, from Schœneck in north-eastern France, has revealed how good the XJ600 can look with a few well-chosen mods. Pimmel & Messer tore the bike down for a complete rebuild, with every worn or broken part replaced. 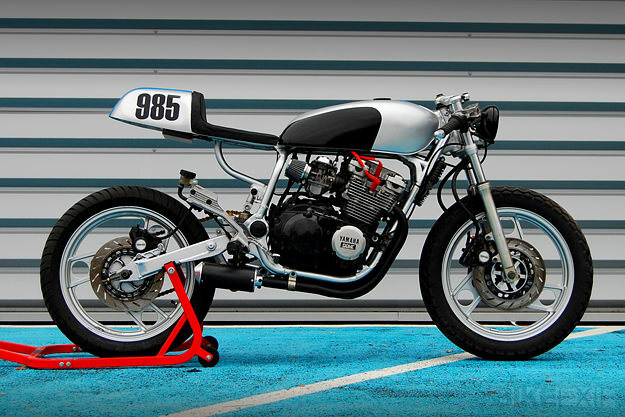 They swapped the stock tank for a 1978 Suzuki GS400 item, and the headlight for a 60-year-old foglight off a classic car. The bars were found at a swap meet, and to improve the stance and handling, they lowered the fork a couple of inches. The back of the frame was rebuilt to accommodate a Ducati SS-style tail unit—which also hides the battery, and supports a handcrafted leather seat. 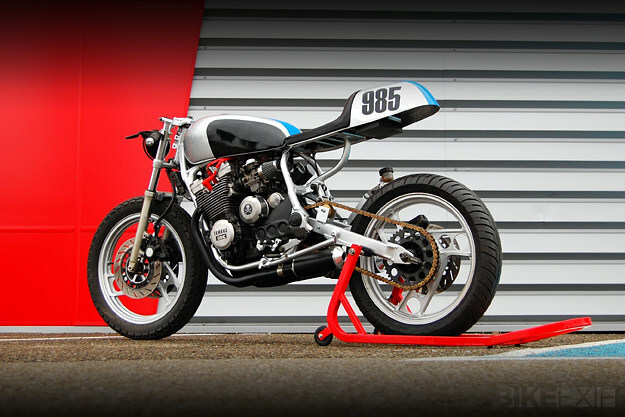 The wiring was simplified, and new exhaust pipes were crafted, terminated by two 250cc dirt bike mufflers. The final touch was custom paint, in silver grey, deep black and Evian blue. 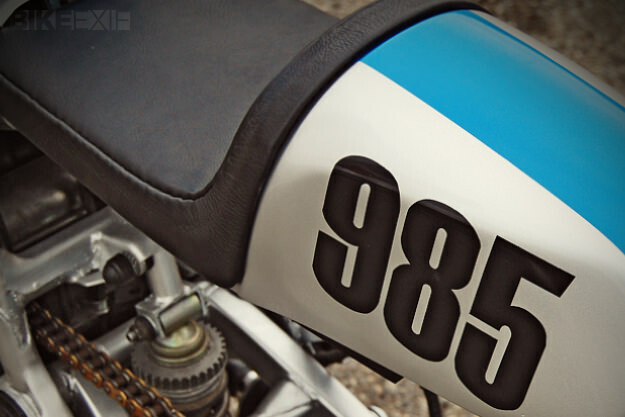 The airbrushed racing number reflects this particular XJ600’s build date, 1985. Head over to the Pimmel & Messer Facebook page for images of their other builds.